With the oil industry booming in Bahrain in the early 1930s, increased job opportunities in the oil industry meant workers at such companies as the Bahrain Petroleum Limited Company (BAPCO) had new expectations for their leisure time. BAPCO was established in 1929 by the Standard Oil Company of California. It had made its first discovery of oil in Bahrain in 1932 and its first shipment of crude oil in 1934. In fact, it was from 1934 onwards that discussions about a proposed cinema began; the purpose, of course, would be to entertain BAPCO’s employees in their free time. But before a cinema could be established, concerns around what to show were raised. The Political Agent A mid-ranking political representative (equivalent to a Consul) from the diplomatic corps of the Government of India or one of its subordinate provincial governments, in charge of a Political Agency. at Bahrain, Lieutenant-Colonel Percy Gordon Loch, approached the Adviser to the Bahrain Government, Charles Dalrymple Belgrave, about establishing a public cinema in Manama and an employees’ cinema at the BAPCO camp. 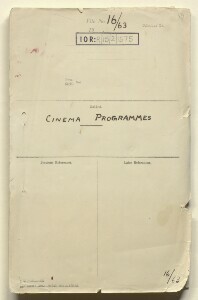 Belgrave expressed his worry in a letter dated 9 April 1934 saying that ‘the censorship would have to be so strict that I doubt if enough suitable films could be obtained to make the show worth running’. One year later, in April 1935, Belgrave informed the Political Agent A mid-ranking political representative (equivalent to a Consul) from the diplomatic corps of the Government of India or one of its subordinate provincial governments, in charge of a Political Agency. that Bahrain’s Government granted permission to BAPCO to open a cinema in their Club House, but only to show films to their British and American employees. Right of censorship was granted to the Government of Bahrain. He also added in a letter sent on 31 May 1936 ‘I do not think that Bahrain is at present sufficiently advanced for a cinema’. Still, the demand for a public cinema remained. Several local entrepreneurs approached Loch about opening a cinema, which persuaded him that a commercial cinema was viable. 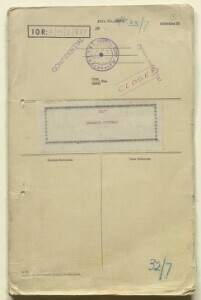 In a letter dated 3 June 1936, he sought support from the Political Resident A senior ranking political representative (equivalent to a Consul General) from the diplomatic corps of the Government of India or one of its subordinate provincial governments, in charge of a Political Residency. at Bushire, stating that he had seen cinemas in other parts of Arabia and had ‘never known [there] to be a complaint against films from a moral or religious point of view’ and concluded by writing ‘I do not think that we can live out of the world for ever here’. Despite Loch’s belief in the project, the political situation necessitated a considered approach to censorship. 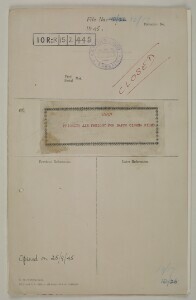 The problem of finding guidelines for censorship was dispensed with upon the introduction of the ‘Manual of the Bengal Board of Censors 1936’, recommended by the Government of India in June 1936. Two copies were dispatched right away from Bombay leaving the doors open for the first screen in Bahrain to be established. The cinema was completed and started its screenings in August 1938, but it was still open only to British and Americans. The case for a cinema open to everyone in Bahrain was strengthened by the Political Agent A mid-ranking political representative (equivalent to a Consul) from the diplomatic corps of the Government of India or one of its subordinate provincial governments, in charge of a Political Agency. forwarding a complaint received by Mr S.M.G. Badshah on 29 September 1946, saying that Bahrain was lacking in public entertainment for foreigners, such as Indians. He suggested opening a new cinema showing Indian, in addition to Arabic, films and some English, too. Such demand for films to cater for all the various communities in Bahrain was only to increase. From 1946 onwards, film screenings took place in various venues, such as the Bahrain Club, the Royal Palace in Qudhaibia and a number of schools and private residences. The range of films on offer was very broad and included short films by Walt Disney Studios, war films and all-time classics such as Lassie Come Home, Arsenic and Old Lace, Saratoga Trunk, and Lady from Shanghai. In fact, the business had become so important by 1945, that the British Overseas Airways Corporation granted BAPCO a priority certificate to import, by air freight, 120 kilograms of film a week from Karachi, thereby removing the inconvenience of shipping delays. In a relatively short space of time, a modest proposal for a couple of cinemas in Bahrain had developed into a profitable business.